One of the most frustrating problems for a landlord is the tenant who is habitually late with the rent. Once a tenant catches on that there is little consequence to late payments, it becomes a game that they may repeat month after month, causing the landlord headaches and income loss. Unfortunately, the lease agreement or management policies can contribute to this problem. A recent decision by B.C.’s Residential Tenancy Branch can highlight how easily the situation spins out of control. After filing a 10-Day Notice to End Tenancy, and a one-month Notice to End Tenancy for repeated late rent, the landlord was disappointed to find that she could not evict her late-paying tenant. The two had only a verbal, month-to-month agreement. At first, they made a handshake deal that rent would be due on the 15th because the tenant moved in mid-month. Later, when that strategy led to late rent payments, the landlord asked to move the date back to the 1st. The tenant did not corroborate that agreement during dispute resolution. The rent was sent registered mail, which further delayed receipt. The landlord had no ledger of rent payments or rent receipts to prove the pattern of late rent payments. The tenant used the dispute resolution as an opportunity to cross-claim for an order for repairs, and asked for his filing fee to be reimbursed. Coincidentally, the tenant’s package of required paperwork for the hearing, which he claimed he sent registered mail, was not received in time. As a result, his claims were dismissed. A lease agreement alone provides little protection against late paying tenants. In fact, in cases where late fees are allowed, these fees are so insignificant that tenants soon see an opportunity to scam the landlord by intentionally paying late, even opting to pay the late fee, using the lease like a revolving line of credit. Landlords lose money every time they have to chase down the tenant, send notices, file for eviction and so on, only to have the tenant pay just under the wire. The same thing happens when a landlord does little to rein in a tenant who pays late. The first time it occurs, many landlords will give the tenant the benefit of the doubt. Unfortunately, a tenant may exploit that good will, and start paying rent later and later each month. In another case, the tenant became so lax at paying rent that he fell a full month behind — but was allowed to stay in the property. Pick tenants who have good credit. Because the methods of rating credit involve an assessment of on-time payments, a good credit report is a sign of financial responsibility. Speak to the previous landlord and learn about the tenant’s rental history. Consider automated rent payment methods where the payment is deducted from the tenant’s bank account or credit card on a particular day. If possible, accept electronic cheques or credit card payments in lieu of mailed payments. Include details for paying rent in the lease agreement. Avoid offering a lengthy grace period for rent collection. Do not rely on a late payment process to provide incentive for tenants to pay on time. 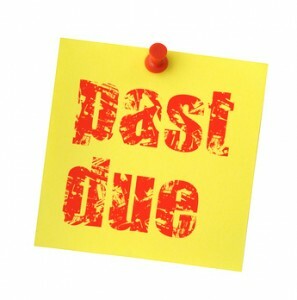 Consider sending the tenant an email reminder or an invoice a few days prior to the due date. Some landlords include a self-addressed, stamped envelope to make it even easier to pay on time. Sign the tenant up to Report Tenant Pay Habits. Not only will this offer tenants incentive to pay on time by preserving their good credit, but it will assist a tenant who is trying to establish a stellar rental history but providing a Certificate of Satisfactory Tenancy at the end of the lease. Next post: Micro Rentals: Living Small, or Thinking Big?